National PA Week is celebrated from Oct. 6-12. 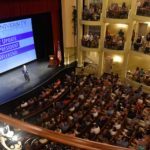 City of High Point Mayor Jay Wagner honored the week with HPU physician assistant students. 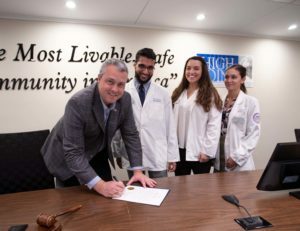 Pictured from left to right are HPU student Amjad Ali, Mayor Jay Wagner, HPU students Emily Carson and Jessica Giordano. 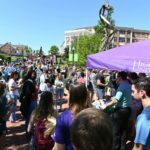 HIGH POINT, N.C., Oct. 9, 2018 – For the fourth consecutive year, the city of High Point helped High Point University faculty and students proclaim this week as PA Week. It is recognized nationally each year from Oct. 6-12. Mayor Jay Wagner signed the proclamation at City Hall. 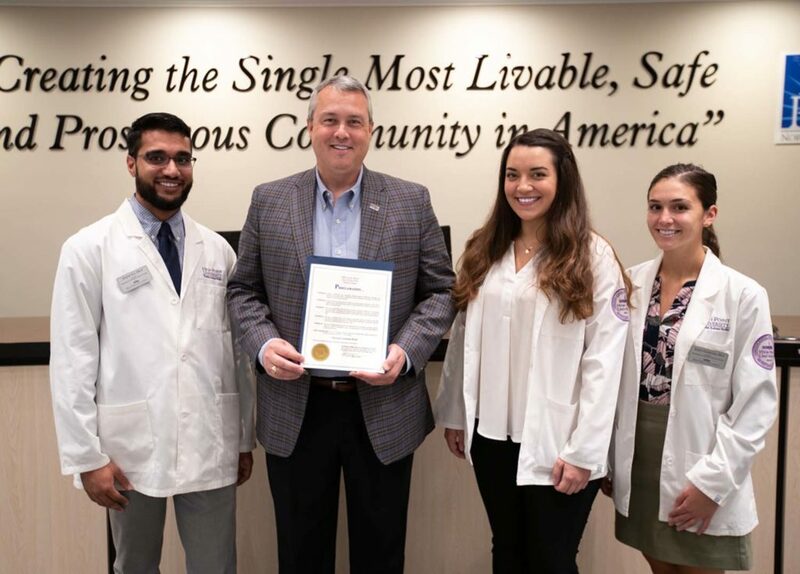 Mayor Jay Wagner joins HPU physician assistant students in signing the PA Week Proclamation. 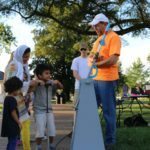 Pictured from left to right are city of High Point Mayor Jay Wagner and HPU students Amjad Ali, Emily Carson and Jessica Giordano. 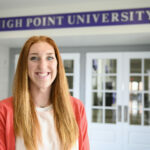 HPU’s physician assistant program enrolls 35 students every year out of more than 1,000 applicants. 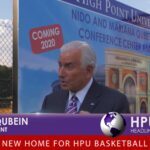 It is housed in HPU’s Congdon School of Health Sciences building. 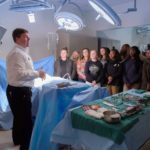 Equipped with state-of-the-art technology, prestigious faculty and newly designed curriculum, the Congdon School of Health Sciences and Fred Wilson School of Pharmacy create a cornerstone for medical innovation at HPU. 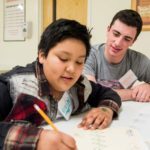 A commitment to service has been a big part of the program, which now has three cohorts of students. Students have dedicated themselves to offering free blood pressure checks at several events, fundraising and volunteering throughout the local community.